Ernest Walker III is also an advocate for homeless veterans. Circumstances forced him to run away from home at age 13. After living on the streets for three years he enlisted in the U.S. Army. "I slept in 23 different houses. When an Army recruiter saw me sleeping behind a Kroger and talked to me about signing up. And it saved my life!" CEDAR HILL—A celebratory free lunch honoring veterans took a negative turn at a local Chili’s Friday. Like many retail establishments, Veterans Day is an occasion to offer thanks via free or discounted goods/services to active and retired U.S. military personnel. Army veteran and Cedar Hill resident Ernest Walker says he was verbally accosted by an elderly customer. 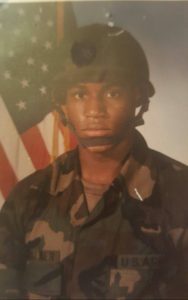 Ernest Walker III served in the U.S. Army 25th Infantry Division from 1987 to 1991. According to Walker, the elderly gentleman wearing a Trump presidential campaign shirt, went on to make a racist statement. He then went on to question the legitimacy of Walker’s veteran status. 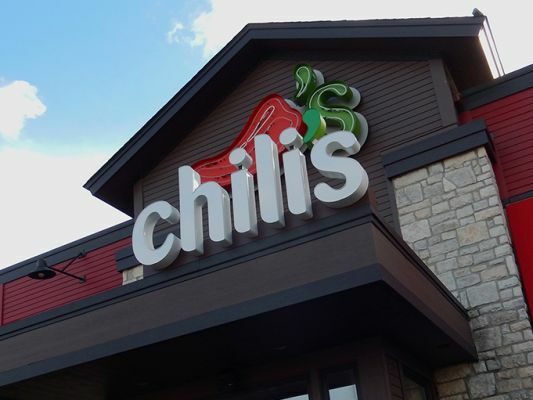 Officials from the Chili’s parent company Brinker International issued an apology for what happened next. 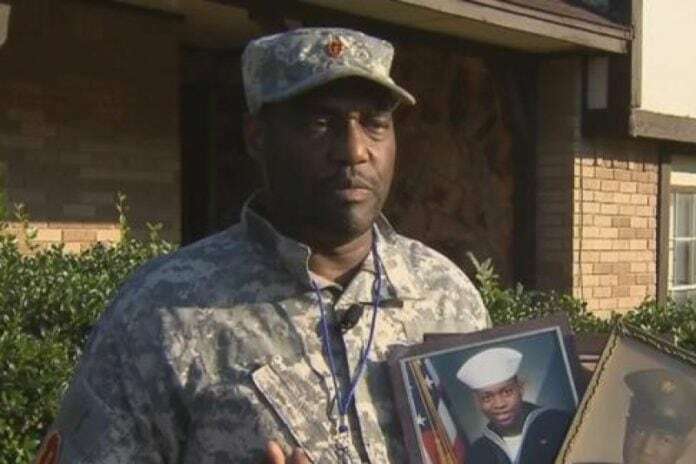 After some tense words with the elderly serviceman, Walker said the restaurant’s manager approached him and said that a fellow customer said Walker was “not a real soldier because he had his hat on indoors.” He asked to see identification, and continued to question Walker. At this point, Walker began to record the confrontation between him and the restaurant manager on his smartphone. The store manager, Wesley Patrick, then questioned the validity of Walker’s service dog, named Barack. Despite presenting his military identification and discharge paperwork, Walker’s food was taken away and he was asked to leave. Walker said he immediately posted the video of the encounter to social media. By Friday afternoon there were supporters in front of the eatery protesting and calling for the termination of the manager. Monday Cedar Hill Mayor Rob Franke issued a written response to the Veterans Day incident that has garnered a number of headlines as well as social media ire. Franke assured residents and future patrons that this was an isolated incident. Mayor Franke went on to address the demonstrations and calls for the location manager’s termination. The five term mayor called for forgiveness and understanding. The incident took place at Chili’s Grill & Bar, located at 376 N Hwy 67 in Cedar Hill, Texas. Monday morning Chili’s Grill & Bar President Kelli Valade, acknowledged the incident and offered an apology to Walker. “Unfortunately, Mr. Walker was not treated in a manner our veterans deserve. On a day where we served more than 200,000 free meals as a small gesture of our appreciation for our veterans and active military for their service, we fell short,” said Valade, who was recently named to the president post in July 2016. 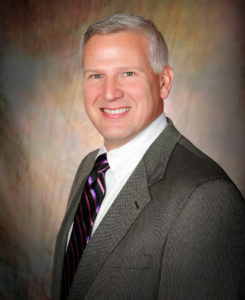 Six years prior, he served as Executive Vice President and Chief Operating Officer for Chili’s. Prior to joining Brinker International, Valade held a human resources position at Carlson Restaurants Worldwide.